Just like human beings, cats are mammals that are affected by old age. 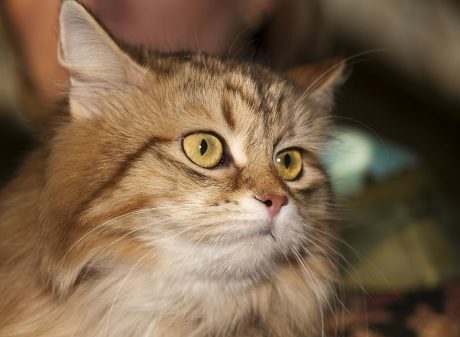 Diseases can incapacitate your cat and make it moody and unable to move. And in the same way modern medicine for human beings is advanced with all kinds of therapy, so is veterinary medicine. Chiropractic is a common practice in people, but it has not yet gained popularity in veterinary medicine. However, the few people that have embraced chiropractic in people, also use it on their dogs and horses. That does not mean that your cat cannot benefit from this non-invasive medical techniques, in fact, some of the chiropractors say that cats respond very well. What is chiropractic treatment for animals? It is a kind of standard stimulation treatment for pets and all domestic animals that aims at optimizing the functionality of the nervous, skeletal and muscular systems of the animal. It ensures that the brain and the spinal cord are functioning properly. It does this by ensuring that all the joints and vertebrae are well aligned and offering the animal the support and coordination it requires. Chiropractic treatment is just a normal routine. When you take your cat to the veterinary chiropractor, he or she diagnoses the cat, asks about the history of your pet, her lifestyle and overall health status. Then the doctor proceeds to the chiropractic exam which involves neurological assessment, evaluation of stance, the cat’s motion and any abnormality in positioning. Every abnormality is then fixed with manipulation commonly known as adjustment, which can be slow controlled hand thrust or machine controlled adjustments. Dysfunctional vertebrae may render your cat immobile, hostile and make it very uncomfortable. In some extreme cases, the cat experiences severe pain and some organs may fail. If it has stopped having the same level of activity– as your cat gets old, it becomes less active. Normally, cats are very playful animals and so, if you realize that it is idle and inactive for the better part of the day, seek veterinary attention. If it avoids human touch- if your cat avoids any form of contact with you, there could be a problem. Perhaps the brain is not sending the proper signals for your cat to respond accordingly to different stimuli. Tenderness or pain– you can tell when your pet is in pain or distress. If you have been spending enough time with it, you will tell from the facial expression. A distressed cat can cry more than normal. Loss of appetite – to notice this, you have to be around the house during the cat’s feeding time. If not, be in constant touch with your cat’s caregiver to monitor any changes in feeding patterns of your cat. Ensures that no injury occurs as a result of the first spine realignment being left unattended. Enables pets to improve their bladder tone and functionality. Sometimes, the symptoms are moderate, and in other cases, they seem normal. For that reason, it is best that you see your veterinary doctor once in a while for check-ups.